WASHINGTON, D.C. — Speaker Nancy Pelosi of California said on Wednesday that she would be willing to endorse any bipartisan border security agreement that emerges from House-Senate negotiations, leaving the success of those talks largely hinging on President Trump’s endorsement. 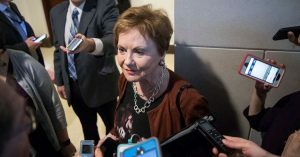 Ms. Granger, who took a brief trip to a handful of cities along the border this week with her House Republican colleagues on the conference committee, conceded to reporters on Tuesday that the structure described by the officials she met would be best categorized as fencing. But she did not retreat from her insistence that physical structures needed to be a part of the final deal. Some of the conclusions that Ms. Granger described seemed to align with those of some of her colleagues, who emerged from the closed meeting describing a solution that encompasses both physical barriers and enhanced technology at the southwestern border. “They don’t rule out barriers, they don’t rule out fences, but technology was their first priority,” said Senator Richard J. Durbin, Democrat of Illinois. But a tangible combination of all of those, he said, was still unclear. 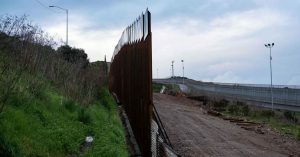 Even if an agreement is reached, Mr. Trump could follow through on his threat to declare a national emergency and try to build the wall by shifting money from other projects. If lawmakers miss the deadline, another lapse in funding could shutter parts of the government just weeks after the end of the country’s longest shutdown. A short-term spending bill could extend the deadline for negotiators, but multiple lawmakers have said they dread the prospect of again punting on a final spending bill. Mr. Trump’s decision to refrain from threatening a national emergency or a shutdown in his State of the Union address offered a glimmer of hope.